Many dogs, and dog owners, hate spending time a part. No matter how dedicated dog owner you are, there is likely to come the time when you have to get someone else to look after your dog for a while. It can be because you are going on a holiday and cannot take your dog with you, or due to some emergency, e.g. hospital stay. You may be so lucky to have someone you and your dog trust to look after him when needed. Like a trusted family member or a friend. This is of course the ideal situation. Your dog knows the dog sitter and is therefore likely to be less anxious without you. The dog sitter may even be able to move into your home while you are away, minimizing the changes in your dog's life. Many dog owners though have to rely on professional dog sitting services. Fortunately, there are number of options in those cases. There are dog boarding kennels and home boarding, either in the dog sitter home or your own home. It's up to you and your dog do decide which option works best for you. How to find the right dog sitter? If you bring your dog with you, then you can see for yourself how the dog sitter interacts with your dog. The best dog sitter is not necessarily the one that makes the most fuss over you dog, but the one that knows how to deal with strange dogs… especially if they are nervous types. Most dogs adjust quickly to their surroundings, that's how they have become so successful as species. It does not mean they don't miss you and your home, it's just that they accept the changes and do their best to fit in their new environment. It will defiantly help if you go and see the dog sitter first with your dog. He will then be familiar with the dog sitter and the surroundings. You may want to exercise your dog well before dropping him off. It will make him tired so more likely to settle quickly. On the other hand, your dog sitter may want to start bonding with your dog by exercising him. Just discuss this with your dog sitter in advance. Leave familiar stuff with your dog, including some of his favorite toys and treat. Some leave something with their smell on it, like worn t-shirt, or blanket. Click on the photo to download and print your FREE dog sitting packing list. Contrary to what you may think, dogs do not travel light. 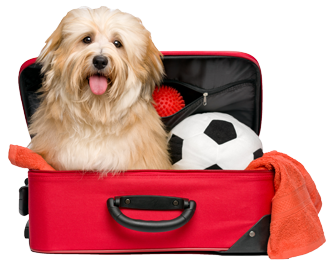 This dog packing list makes sure you don’t forget anything when travelling with your beloved four-legged friend. Make sure your dog's tags include contact number that will be answered, i.e. not your home number if no one is at home. It is best to put temporary tag on your dog with the dog sitters contact numbers and address. If your dog is very nervous type and suffers from serious separation anxiety, then you may need to work on it before leaving him with a third party. 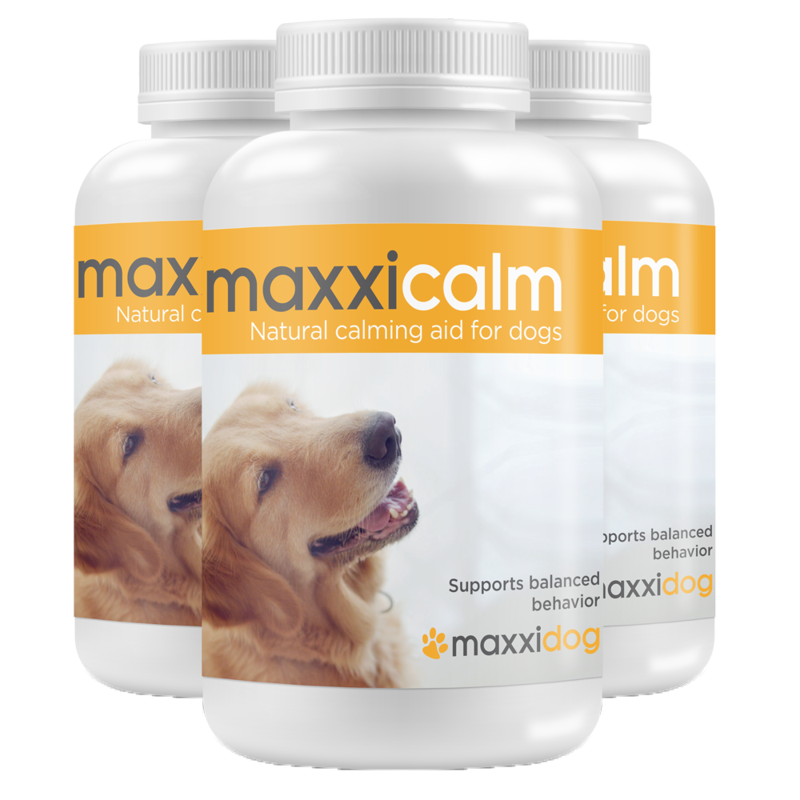 Natural calming aid for dogs, like maxxicalm, may also help those dogs to settle quicker with the dog sitter. For best results, you should start giving them to your dog few weeks before leaving him with your professional dog sitter.